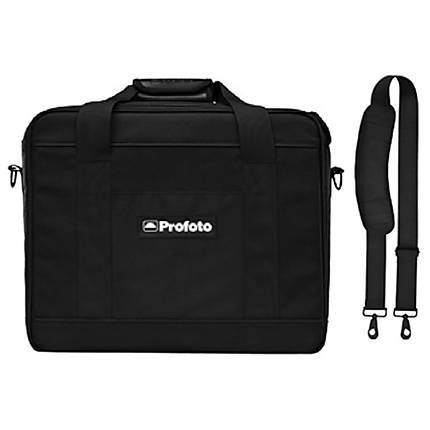 Carry up to three Profoto D2 monolights in the Profoto - Bag S Plus when traveling to your studio or an outdoor set. This padded nylon bag has ample space for storing your gear. You can wear this zippered bag across your shoulders with the help of the removable strap that comes along, or carry it by the touch-fastener joining handles. For added versatility, you can use the Profoto - Bag S Plus for carrying other general items.